Author Of The Week: Chat with CJ Redwine (The Blood Spell), Plus Giveaway! 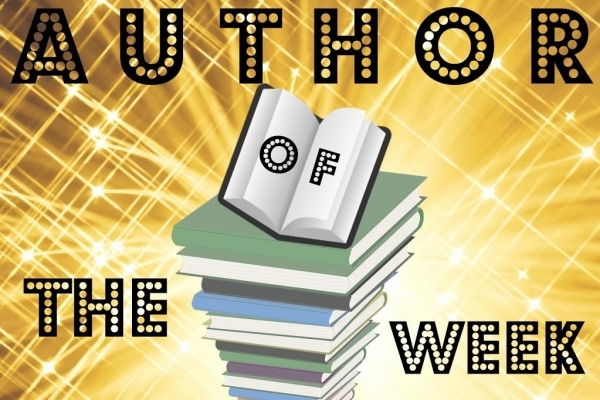 Welcome to our weekly special feature post, Author Of The Week!! Each week we will be interviewing a different YA author and highlighting their upcoming release! We will also be hosting a giveaway of the book we are highlighting!! Introducing CJ Redwine, YABC's Author of the Week!! C.J. Redwine is the New York Times bestselling author of YA fantasy novels, including the Ravenspire series of fairytale retellings and the Defiance trilogy. She’s still waiting for her letter from Hogwart’s. Currently, she lives in Nashville with her husband, five children, three pets, and a wardrobe that stubbornly refuses to lead to Narnia, no matter how many times she tries. A dark and romantic epic fantasy retelling of the Cinderella story, about a girl who must team up with the prince she despises to defeat an evil creature threatening their kingdom. The fourth standalone novel in the New York Times bestselling Ravenspire series by C. J. Redwine. Blue de la Cour has her life planned: hide the magic in her blood and continue trying to turn metal into gold so she can help her city’s homeless. But when her father is murdered and a cruel but powerful woman claims custody of Blue and her property, one wrong move could expose her—and doom her once and for all. The only one who can help? The boy she’s loathed since childhood: Prince Kellan. Kellan Renard, crown prince of Balavata, is walking a thin line between political success and devastating violence. Newly returned from boarding school, he must find a bride among the kingdom’s head families and announce his betrothal—but escalating violence among the families makes the search nearly impossible. He’s surprised to discover that the one person who makes him feel like he can breathe is Blue, the girl who once ruined all his best adventures. When mysterious forces lead to disappearances throughout Balavata, Blue and Kellan must work together to find the truth. What they discover will lead them to the darkest reaches of the kingdom, and to the most painful moments of their pasts. When romance is forbidden and evil is rising, can Blue save those she loves, even if it costs her everything? YABC: What gave you the inspiration to write this book? This is a dark epic fantasy inspired by the Cinderella fairy tale, so of course my love of fairy tales was a huge inspiration. But on a deeper level, I was inspired by my daughter and one of my best friends. Blue, my heroine, is inspired by my friend Melinda--her kindness, her skin color, her fierce courage, and her take-no-nonsense attitude. And Nessa, the prince's younger sister, is inspired by my youngest daughter. My daughter uses sign language to communicate. She isn't deaf, but she has a condition that makes forming most consonant sounds impossible. I've never seen a character like her in literature, and I wanted to create a character with the same gorgeous language who also moved through life with the same joy, enthusiasm, and courage as my daughter. YABC: Which came first, the title or the novel? The novel, for sure. My original working title was The Enchanted Slipper, but after my publishing team read through it, we decided that title didn't quite fit the story's darker themes of grief, revenge, and courage against all odds. YABC: What scene in the book are you most proud of, and why? I don't think there's one single scene that I'm most proud of, but I do really love the last scene I added to the book during edits. It's a scene readers are going to absolutely SWOON over. I can't say much without spoilers, but it involves hiding in a maid's closet and the hottest almost-kiss I've ever written. YABC: Thinking way back to the beginning, what’s the most important thing you've learned as a writer from then to now? To embrace the kind of story elements I really love and to always find a way to include them in what I write. I can write dozens of stories, set in vastly different worlds with very different characters, but the core of my stories, the core of what I love in books, will always feel familiar to my readers as a result. YABC: What do you like most about the cover of the book? EVERYTHING. No really. That cover is drop dead gorgeous. YABC: What new release book are you looking most forward to in 2019? Oh man, I can't pick just one! For upcoming releases in the next few weeks, I'm really excited about Tricia Levenseller's Warrior of the Wild (Viking-inspired fantasy!) and Mary Weber's To Best The Boys (labyrinth competition!). YABC: What’s up next for you? I'm currently working on a political fantasy that includes war, arranged marriage, secrets, betrayal, a prince forced to spy on an enemy princess as her new handmaiden, and monsters crawling out of the sea. YABC: Which part of the writing process do you enjoy more: Drafting or Revising? I like revising better than drafting. It's so helpful to already know the shape of the story and to be working on making it better instead of making it appear in the first place. YABC: What would you say is your superpower? I can find the right music for any scene, any mood, any person. My Spotify lists are public, so you can listen to the playlist for The Blood Spell (or any of my other books). I have an eclectic taste in music and a wide variety of artists on my lists. YABC: Is there an organization or cause that is close to your heart? Adoption is my heart. We've built our family through adoption, and "found family" is always a theme in my stories. An organization that does tremendous work in helping bring orphans home is Both Hands. We've worked with them several times, and personally know the founder. I highly recommend them! Friday, 19 April 2019 Spotlight on The Last Voyage Of Poe Blythe (Ally Condie), Plus Excerpt! This cover is GORGEOUS! The pumpkin is a great subtle nod to Cinderella. I am also happy to realize this is a standalone novel, as I thought it was fourth in a continuous series. It sounds like a great twist on the classic! I love thus cove, so gorgeous! The cover is cool. The synopsis makes me want to read more. I really enjoy fairy tale retellings and I am looking forward to this one. Dark and romantic epic fantasies are the best kind! omfg i think i have been waiting over a year for this book, cant wait to own it and with such a beautiful cover too!! I love all the covers in this series, and all of the books! Love the cover — especially the glitter & really want to read! I love the pumpkin on the cover. I'd love to read this entire series; it sounds so creative. I like the book cover design. I think I will like the characters in this promising fantasy tale. The cover is beautiful and cold. The synopsis sounds exciting and suspenseful.